​Tree Service San Clemente is a professional tree care and landscaping company. We provide year round tree service for residential and commercial clients in San Clemente, CA and all of Orange County. Trees provide beauty and enjoyment and they are our gifts to generations to come. Investing in their professional care today will bring returns that will continue for years and years. 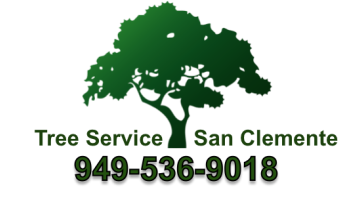 Why Choose Tree Service San Clemente? 1. We care - We not only care about appearance, but also the health and safety of your trees and the surrounding property. We use proper climbing techniques to make sure your trees and our workers are safe. We use the most up-to-date environmentally safe methods and make sure all of our workers are trained. 2. Dependable and honest - We will show up on time and do the work we agreed upon. We offer fair prices and will work with you to create a maintenance program that works within your budget. 3. We offer 24 hour - We are here to help should an emergency arise. If you see a fallen tree or something that might be a potential problem, give us a call at 949-536-9018. 4. We meet standards (ISA, TCIA) and are fully insured. to help you with all of your tree service needs. We aim to exceed your expectations. Check out our ﻿Ser﻿vice﻿s ﻿page to see how we can help. California is facing one of the worst droughts on record. During droughts, plants should be monitored closely because trees and plants can't produce food and can not absorb nutrients properly. They become more susceptible to pests as well as stem and root disease. Let us help your plants survive the drought! We will check your irrigation to make sure you are watering the root zone and not the trunk. We will make sure that dead and trying limbs are pruned and create an appropriate fertilization schedule. Do you need landscaping services for a new home, landscaping services for a new commercial construction or landscaping renovations? Tree Service San Clemente specializes in landscaping new homes and landscaping renovations. We have been involved in hundreds of landscape projects over the years. If you drive through new neighborhoods in San Juan Capistrano, Talega in San Clemente, Laguna Niguel, etc., you will see some of our work. We do landscaping work all over south Orange County, CA. We understand that building a new home and moving into a new home is both exciting and stressful. You have so many decisions to make and not much time to make them. We are happy to help you with all of your landscape design decisions. 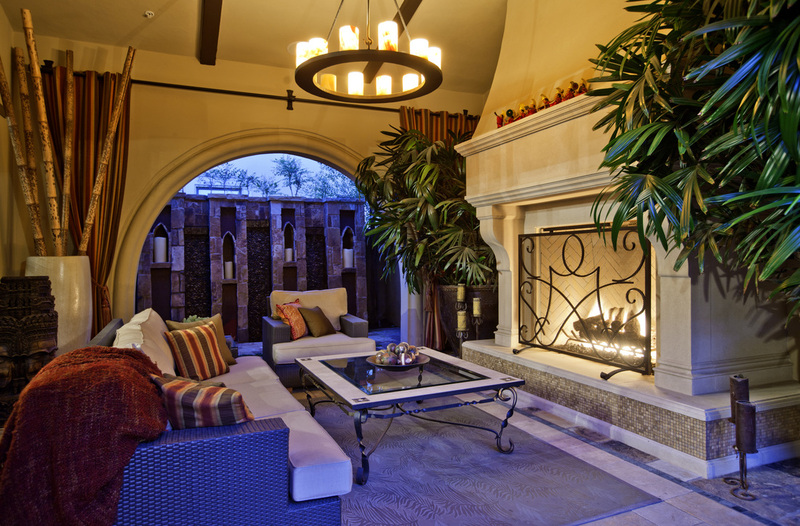 Having an experienced landscape designer makes the process go more smoothly and takes one task off your list. You can't start the design process too early. Our designers will help you create a vision and make it come to life. We can help minimize slopes, create privacy, make sure you have the appropriate drainage and highlight outdoor entering areas. Builders are focused on the inside of your home or commercial building. Our focus is the outside. We can start working on your landscape plan BEFORE you start your new construction. Contact San Clemente Tree Service at 949-536-9018 during the early stages of construction if possible. That will allow us to start the landscape plan as soon as the exterior walls are up. Why do Prices and Quotes for Tree Trimming and Tree Service in San Clemente Vary? We understand it can be confusing and frustrating when it comes to deciding on what company to choose to for tree service in San Clemente. Many put off doing anything, which could cost you even more money in the future. Tree trimming and tree removal can be expensive but ya gotta do it! Here are a few reasons for that can affect pricing for tree services. • Access – If access is difficult, it will take longer and it will cost more. Also, a bigger crew may be required if we have to haul equipment and debris for long distances. If we can pull our trucks and equipment next to the tree, in your driveway or on your street, it will save time and money. Are your trees or shrubs in a tight space, do you have delicate landscaping or are there gates or fences that we have to work around? If so, it can add time to our job as well. Is the tree hanging over a pool or in your neighbor's yard, or hard to get to? These are all things to keep in mind when you receive your quote. • Danger – Danger makes for a higher quote because you need to pay for an expert, it adds time to the job and it increases the chances of Worker's Comp. You may get a quote much lower from another "company". Please double check that they are legit. Low bids from uninsured tree service companies can make law abiding company's bids look overpriced. Trees that have been dead for a while are more dangerous than recently dying trees because they are not as secure. The first reason is more care and expertise is needed with older dead trees. Climbing dead tree branches or hollow trees is unpredictable. And, climbing with a chainsaw means being even more cautious. Call San Clemente Tree Service 949-536-9018 as soon as you notice one of your trees might be dying - it will save you money and be safer for your home and our crew. Power lines typically create an increase in price as you can imagine. • Structures: We get most of our calls to trim or remove trees when they are a danger to your house. It usually takes extra time remove branches and trees safely when they are close to a structure. • Operational Costs - These are things like: extra time, fuel, going to the dump and dump fees. Hope this helps with understanding why quotes may be very different from company to company. Give us a call or fill out the form for a free estimate!